Looks like a little "EBT influence" down the track in the background. Nicely represented, any story behind that? Great project Jim. Yea the Surry-Parker's were used mostly in the East and South areas of the country. Your correct they were transported on a flat or skel log car around the woods then jacked up and secured once in position. I have an O scale model I built abot 30 years ago still kicking around here somewhere. Here's the one I built a few years ago. This is your standard steam driven crane with the difference being that it is built over the top of the tracks and empties run underneath the crane. I believe the deck, boiler, boom, etc. were transported to the site and then raised up on pilings to the right height. Of course, I have nothing yet. I'm started on my boiler, following the great work of Devon [link] and Rick [link] in their recent Mik builds. 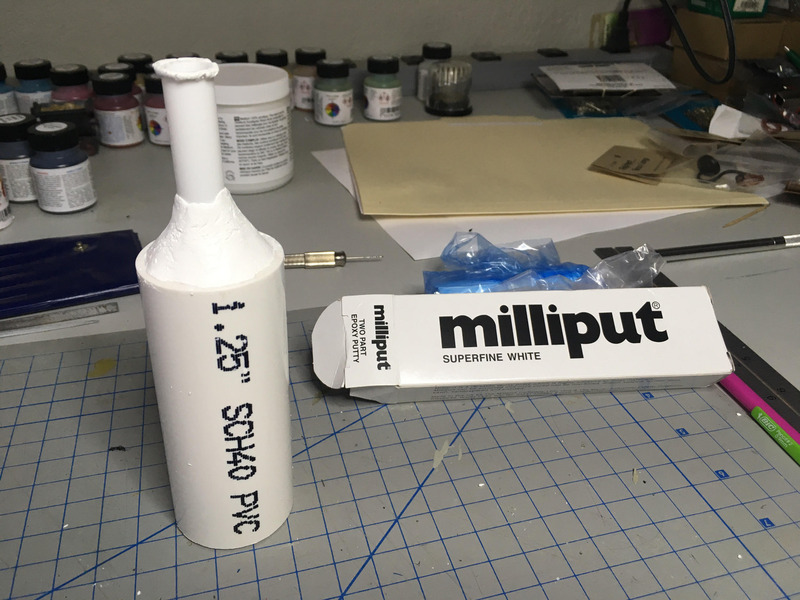 Not having a lathe, I needed to do something different to create the tapered top to the boiler so I am trying putty (using milliput epoxy putty recommended by boomer). We'll see how this goes. Waiting for the putty to dry (tapping my toes impatiently) so I can sand it down. mods seem to be moving right along. Nice work Matt. Odd coupler mounting. Anyone know the reasoning behind it? Matt, I don't know if this will help at all, but here's a couple of pictures I took in the yard when I was over there at Cumbres-Toltec. edit: how come I see the typos after I hit the post box? Geez! Great progress. I'm following with keen interest as I am also considering doing 1:29 dual gauge. 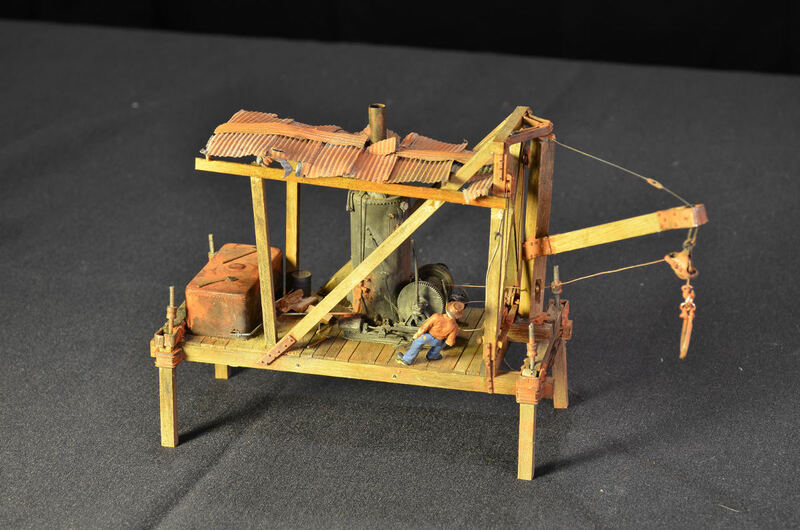 Did you spike the second rail at O-gauge/32mm ? Please keep updating your progress. 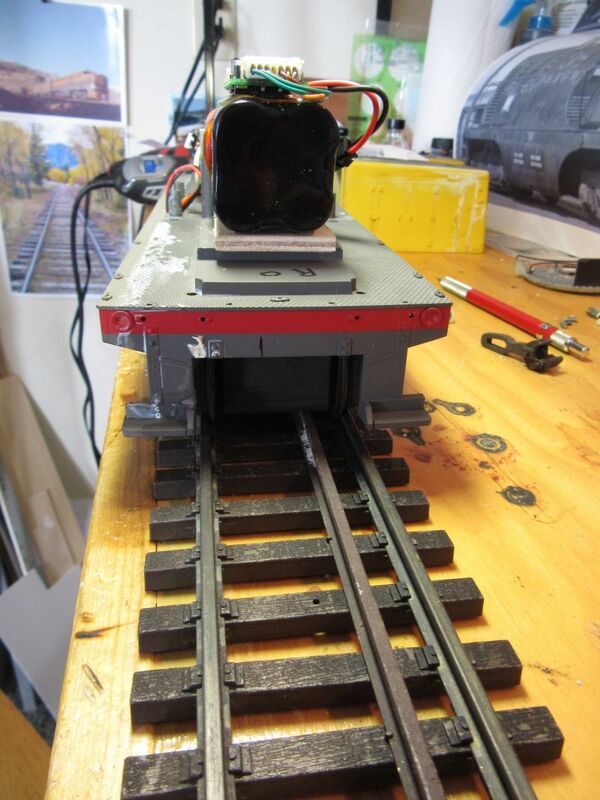 So are you making it run on 45mm track or larger 1:20.3 standard gauge track? The prototype is standard gauge. My model, like the prototype, will be equipped with dual gauge couplers which enable it to switch standard gauge and narrow gauge equipment. Is the prototype a 3' or 4' 8.5" gauge? 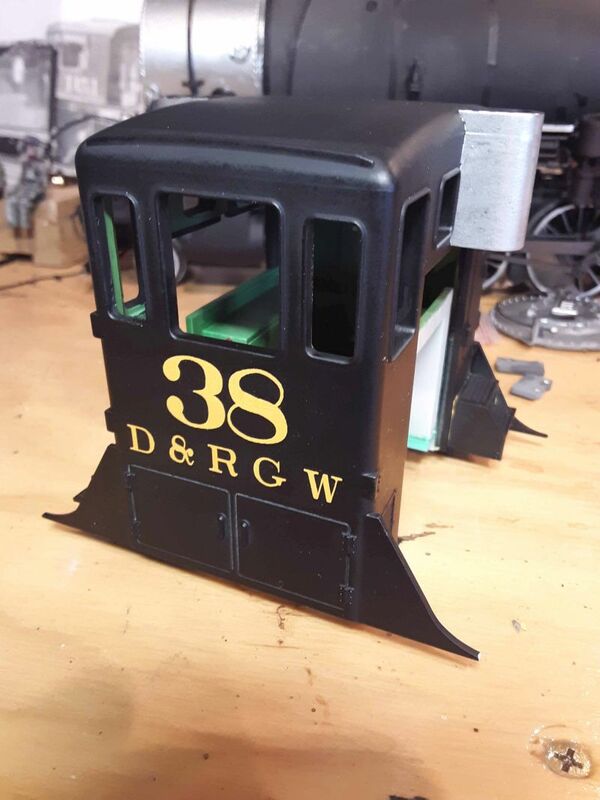 Interesting that a center cab in "standard gauge" (1\29) could be used to model a center cab in "narrow gauge" (1/20.3) without too many modifications. Thanks guys! Really appreciate it. Rooster, PM sent. I've got some 3/8 spikes. PM me your address and I will,mail them to you. Rooster beat me too it. If he chickens or is that roosters? out let me know. I'm working on a car model display which involved a pit of hand-spiked rail; and I need around 40 spikes, 3/8" or 1/2", in black. Cheapest I can find is a pack of 1,000 by ME, on ebay -- ~$22 with shipping. And they're too short. ME's site has the size I want, for $12 for 1,000. Which would be fine, but they want $18 for shipping, sheesh. Since I don't need near that many, would someone be willing to sell me some and ship em cheap, say, 1st class small padded envelope? Or, anyone know of a source for smaller packs or more reasonable shipping?